The term “footnote” may have several meanings. In the first place, it refers to very specific information, claiming the attention of only those deeply interested in the issues discussed by the main body of a text. However, it might get a much more exciting means once the text to be footnoted is not our own. In this case, footnoting resembles the method of writing remarks with pencil on the margins of a book—a gesture of expressing (counter-)opinion, of forming questions; a seed for new ideas the stimulus in the text being chosen arbitrarily, according to one’s personal interest. 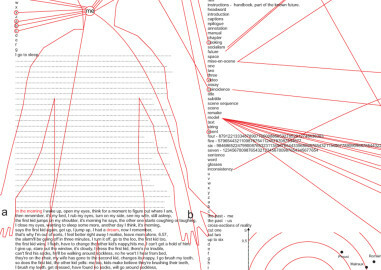 Not only background information for insiders anymore, footnote then becomes a means of expression commenting, questioning or overwriting the main text, which process is as telling of its author as of the content of the footnoted text inspiring, annoying, helping or confusing its reader once it gets into someone else’s hands. The parallel between footnoting and the way contemporary art reflects on its surrounding has been drawn in several cases. However, the site of our project enriches this term with a special resonance. 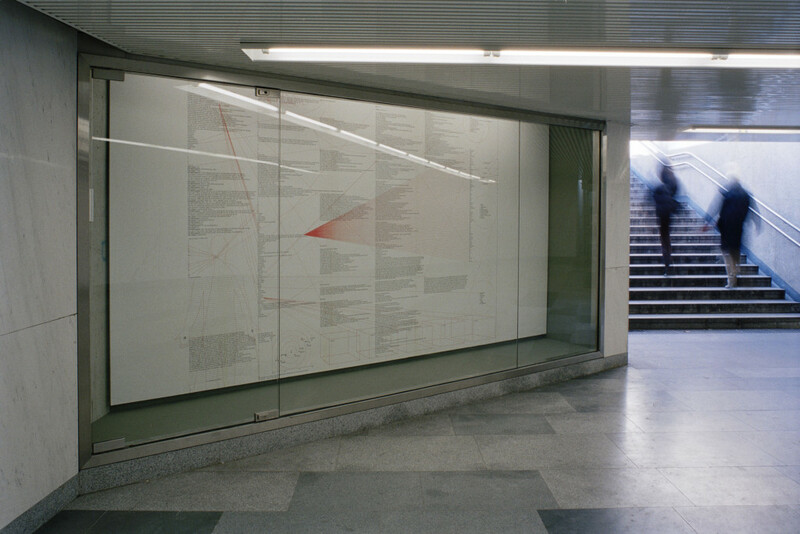 The physical position of this three by five meters window case in an underpass leading to Secession on the level of its basement seems to be an ideal place to present Footnotes. 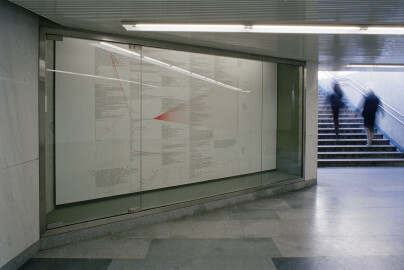 With its institutional bonds to Secession, being situated under Karlsplatz, a square surrounded by established cultural institutions, the venue suggests the function of an appendix, of a site to place remarks and comments. As an entity outside the main body of the institution and intruding into public space, it embodies Secession’s program policy of extending its activities beyond its walls. It communicates with a wide range of people, although typically with ones being on the move, in a hurry, inbetween two places, running through the grey corridor of the underpass or trying to find the right exit as they make their way in the city’s labyrinth. Why would they stop? A display case usually contains advertisements, posters and announcements. 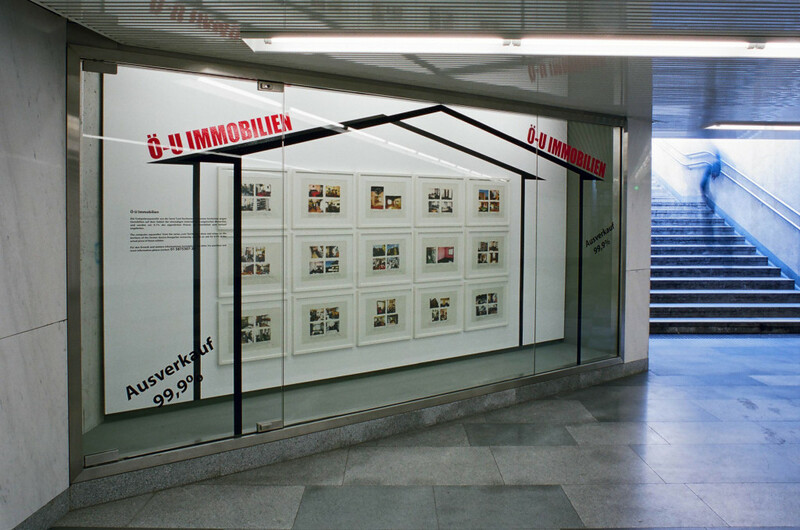 The art projects, the footnotes to be displayed will engage in a dialogue with the site: with the case itself, with the immediate surrounding in the underpass, the larger context of Karlsplatz or the city of Vienna. They will be textual or visual notices by authors living in different cities—to the passersby of the Austrian capital; messages that catch the gaze and keep the mind engaged—due to their strong visual appearance and subversive content. Glossary is a large-scale poster covering the entire wall of the display case. It is a diagram: a representational means used to visualize concepts, ideas and relations in a structured and clear way. Its black and red colors, its spreading bunches of sharp thin red lines connecting words and figures, its circles and cubes and human silhouette seem at first sight reminiscent of pure constructivist and structuralist design. However, when stepping closer, one has to realize that the way this loads of texts appearing on the poster and the graphic structure around it relate is not necessarily like one would expect from a diagram; the visual and cognitive net drawn by their constellation is rather perplexing. It feels as if peeping into someone’s thoughts, of someone ruminating over their work or walking through the city streets. They are free, arbitrary, inorganizable—the fragments and ideas still connected through lines of association. It suggests the beauty of the interchangeability of things and concepts while suggests that this will not make our head any clearer. The personal and the social and political gets ultimately unified, memory and oblivion paired, the number of moments in one’s life counted and the sense of the whole lot discredited; the future told and the past forgotten – although tried hard to remember of. Miklós Erhardt is an artist who has explored the artistic potential of human interaction both in solo projects as well as a member of the artist group Big Hope. Addressing social situations and constellations such as immigration, tourism, homelessness and economy in general, his projects are first and foremost driven by an interest in personal viewpoints, experiences and stories. He often acts as a mediator, collaborator or facilitator in the process of realizing a work while reflecting with critical awareness on his own role in the situations he creates and observes. 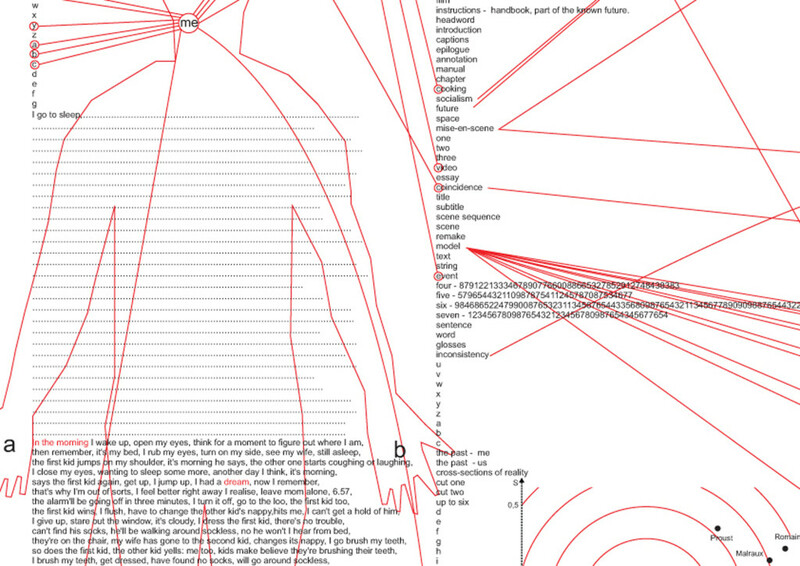 The comment presented by the work, as well as the concept itself, is a double-edged one. On the one hand, its material and aesthetics invoke transition and adversity with bitter irony: conditions that one might associate with people (including, but not restricted to, refugees or the homeless) whose only basis for claiming rights would be their bare existence. 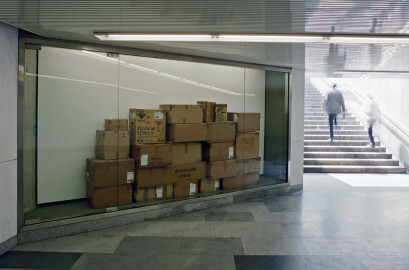 The site of the installation, the urban underpass, is itself a (non-)place of transition that nevertheless often provides the only shelter available for these excluded members of society while also being a space permanently under heavy surveillance and control by the State. On the other hand, the project is an experiment to the extent that it (arguably) displays all of the artist’s belongings. No less ironic in nature, this personal inventory presents another consideration in relation to the notion of bare life that is, supposedly, pre-emptive of any political and social connotations: What are the things or illusions that one should strip oneself of in order to retain bare life? Are there any? Slovenian artist Sašo Sedlaček is presenting a new site-specific project in the Secession’s display case. There are always niches in city space, in services, laws or even the outer space that people have forgotten or have never thought about. These niches are exactly what Sašo Sedlaček looks for. His primary interest seems to be things that people overlook and the ways they can be made useful once again. One might say that Sedlaček’s works result from a subversive recycling of scientific, legal or technological facts, employing DIY (do-it-yourself) and collaborative methods. 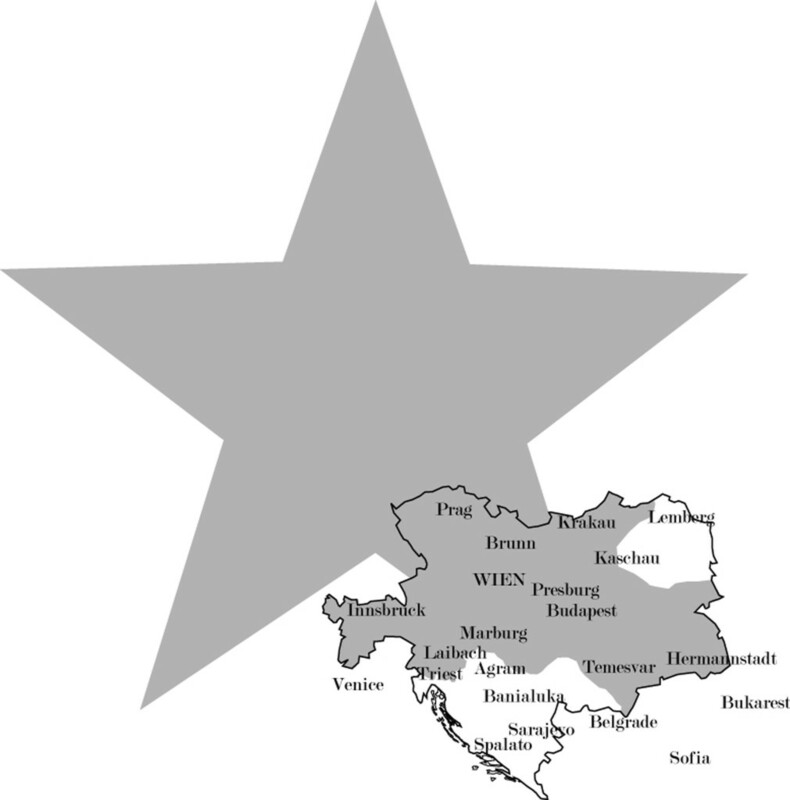 Considering discarded space and European geopolitics, his interest has recently turned toward certain historically rich and rather ambivalent national, territorial and cultural relations in Central Europe and toward personal strategies of rethinking, revitalizing or overwriting these. Accordingly, Sedlaček’s project is a promotion of the real estate trade. Similarly to his earlier projects, he draws attention to hidden places and strategies that can be key to future developments in the region. At the same time, he finds a way to promote his own art – is it a singular artistic move, or can this gesture be seen as representing a core strategy that leads to mutual benefit in this ambiguous situation? Ö-U Immobilien employs a sort of urban mimicry when appearing as an advertisement board in the display case. Addressing directly the capital of Austria, this final project in the series FOOTNOTES once again articulates critical comments on the predicaments of life in the city, focusing on individual aspects of urban and regional development in a personal and non-spectacular way – in small print, so to speak. Zbynek Baladrán, born in Prague in 1973, lives and works in Prague. Miklós Erhardt, born in Budapest in 1966, lives and works in Budapest. Sašo Sedlaček, born in Ljubljana in 1974, lives and works in Ljubljana.